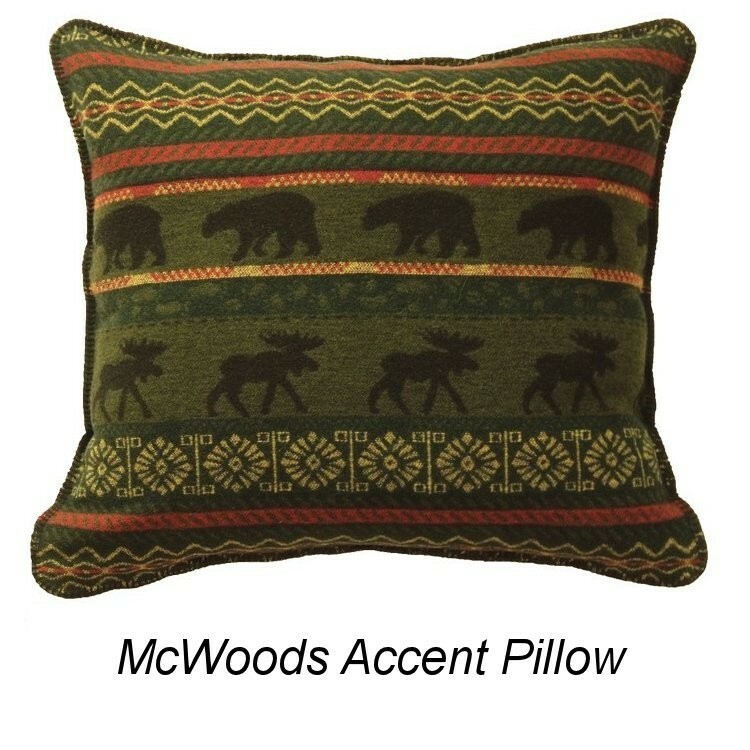 The McWoods Bear and Moose Bed Sets feature a colorful single layer coverlet with decorative button hole stitched edges. 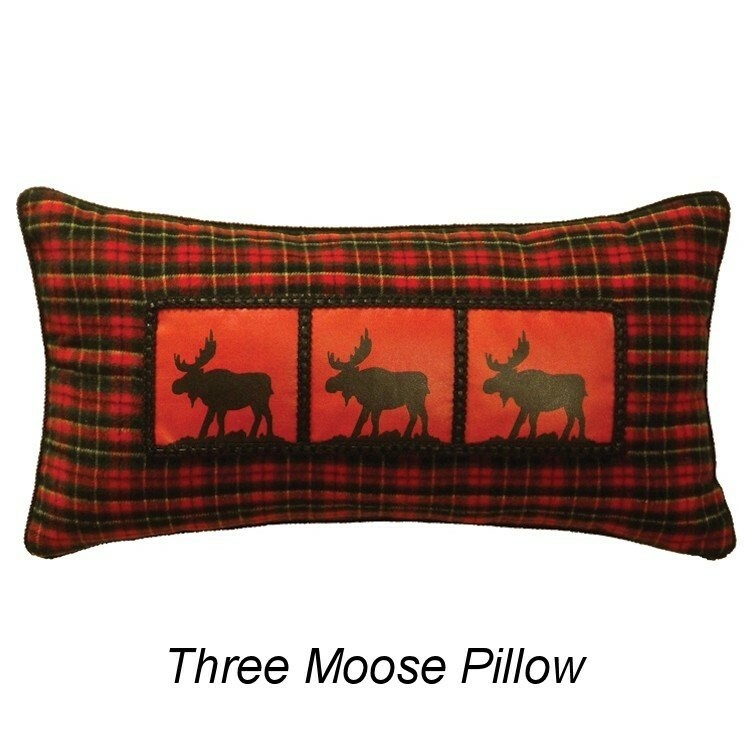 The predominantly green background has rows of black bear and moose silhouettes accented with geometric designs in yellow and red. 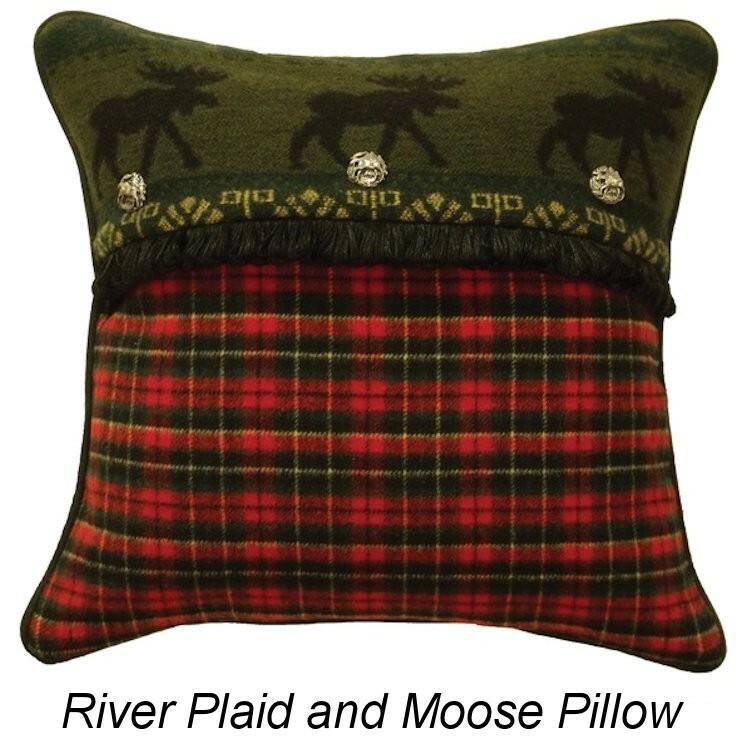 The pillow shams are constructed in the same fabric as the blanket cover in a pillow case style and each set is further accented with a lively gathered plaid bedskirt. 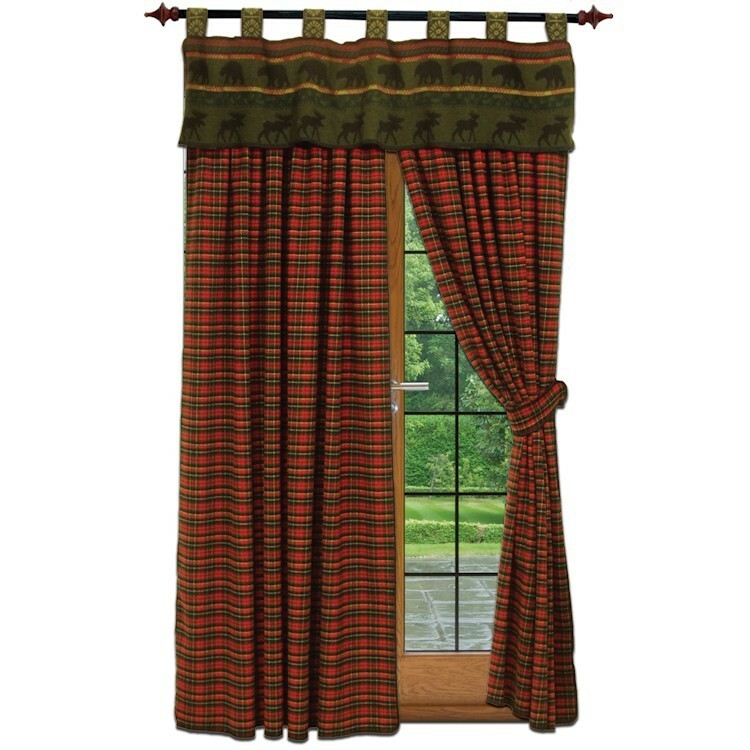 Each deluxe set has the added luxury of three euro shams (two that match the blanket cover and one plaid that matches the bed skirt with a ruffled edge).